When you take out a new home insurance policy, it probably doesn't cross many people's minds that information on their credit report may be checked by the provider before signing up. So you may be surprised to hear that insurers often use information on your credit report to confirm your identity when you request a quote, and also to check your ability to repay by instalments.Even insurers who aren't signed up to share the information held by credit reference agencies such as Experian can carry out limited checks using public data, for example details held on the electoral roll. Using an online price comparison site is just one of the ways to save money on your insurance. When you do a search on one of these sites, your proposal is shared with a number of insurers to find the best deal  and these insurers need to confirm that you have provided the correct personal details as a precaution against fraud. If there's a financial risk associated with the offer, for example an option to pay by instalments instead of up front, they may also want to know a little about your repayment history so they can calculate suitable terms. Don't insurers need my permission to check my credit status? The insurer or comparison site will always ask you to agree to these checks being carried out when you request your insurance quote. It could be in their T&Cs or you may tick a box giving them permission to carry out checks. How do I know if I've been credit checked by an insurer? The easiest way is to look at your credit report. This is a personal history of your borrowing behaviour  the credit you've had and the repayments you've made. When a lender or insurer searches your file, it leaves a record, known as a footprint, so you can tell who has accessed your data and why. You can see your Experian credit report with a 30-day trial of CreditExpert. Can these searches affect my credit score? Only search footprints left by actual applications can affect your credit rating  lenders can't see the footprints left by quotation searches or use them to calculate credit scores. 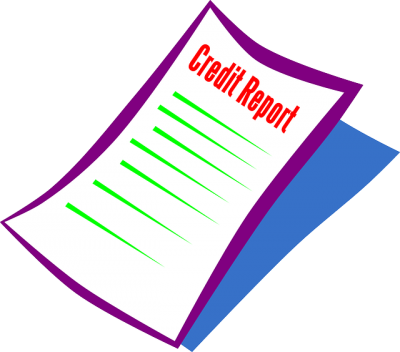 So don't worry  you can have as many insurance quotation searches on your credit report as you want without affecting your credit status.